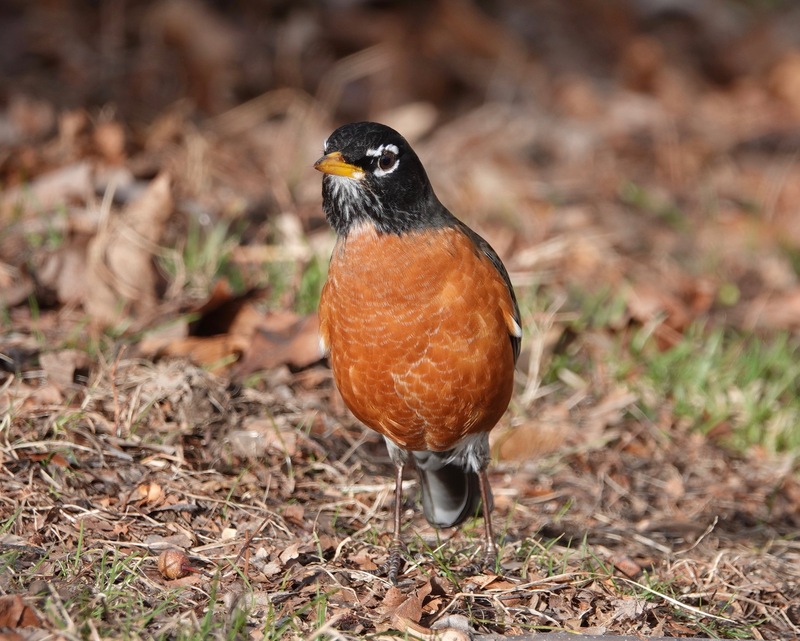 The omnipresent American Robin actually sticks around during winter but changes its behavior rather radically. They become more social and range further about in nomadic, non-territorial flocks in search of fruit. This marks quite a difference from their worm and insect diet of summer, when they’re also very territorial over breeding grounds (like your yard). 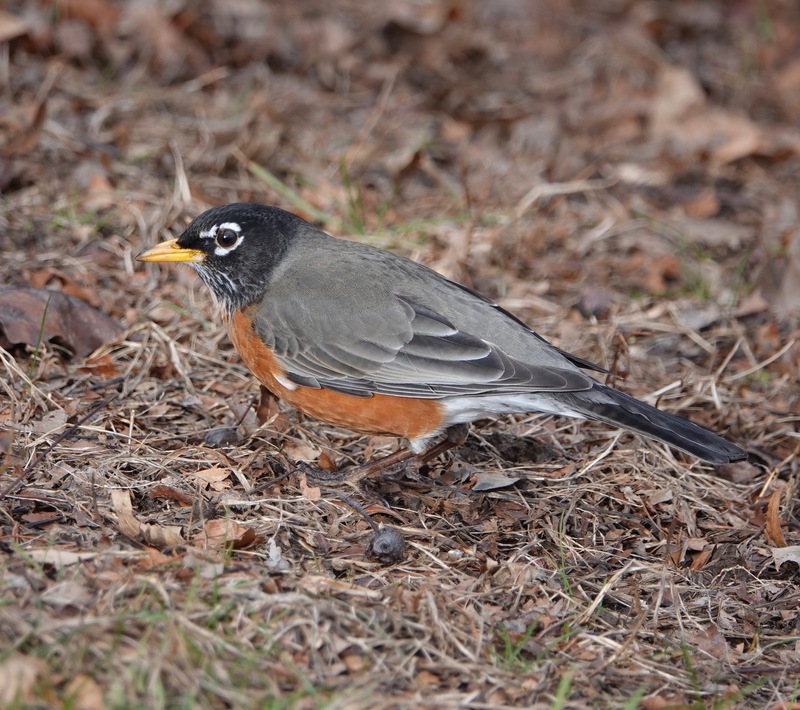 In Central Park in Strawberry Fields I have seen a group of robbins eating the fruit of what looks to be a holly tree, and in a part more northern I have seen robbins feasting from a tree loaded with small orange fruit, not persimmons. I am happy to compare your wonderful notes with my very unprofessional observations in Central Park. In fact I very very often use your notes for my explorations there. I see many holly trees full of their berries. 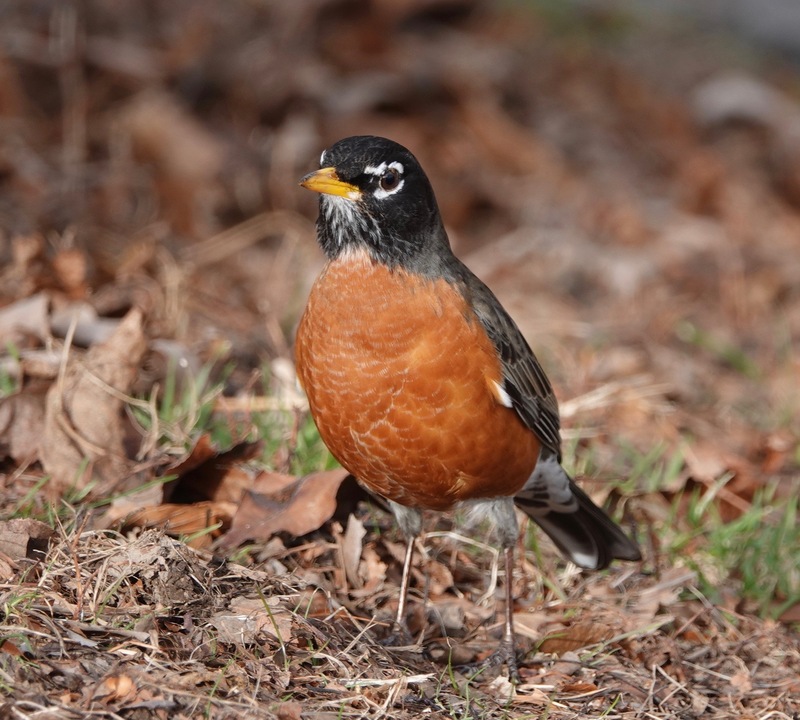 Are they poisonous to all birds except robbins? Birds are pretty remarkable on the berry front. Holly berries should be no problem for them. Bluebirds and other thrushes; Catbirds, Mockingbirds, & Brown Thrashers; as well as woodpeckers are said to particularly like them. Remarkably, even poison ivy berries are bird food.